Gov. Greg Abbott is signaling support for House legislation that some hope will serve as an alternative to the Senate's "bathroom bill." In a statement Tuesday, Abbott called the House alternative developed by state Rep. Ron Simmons, R-Carrollton, a "thoughtful proposal." The revised version of Simmons' House Bill 2899, which will be the subject of a committee hearing Wednesday, would invalidate local trans-inclusive bathroom policies, including anti-discrimination ordinances meant to allow transgender people access to public bathrooms based on gender identity and some school policies meant to accommodate transgender students. "I applaud the House and Senate for tackling an issue that is of growing concern to parents and communities across Texas who are now looking to the Legislature for solutions," Abbott said in the statement. "Rep. Simmons is offering a thoughtful proposal to make sure our children maintain privacy in our school bathrooms and locker rooms." While Abbott signaled support for the House proposal, he made clear he wants to continue working on the high-profile issue with lawmakers from both chambers. 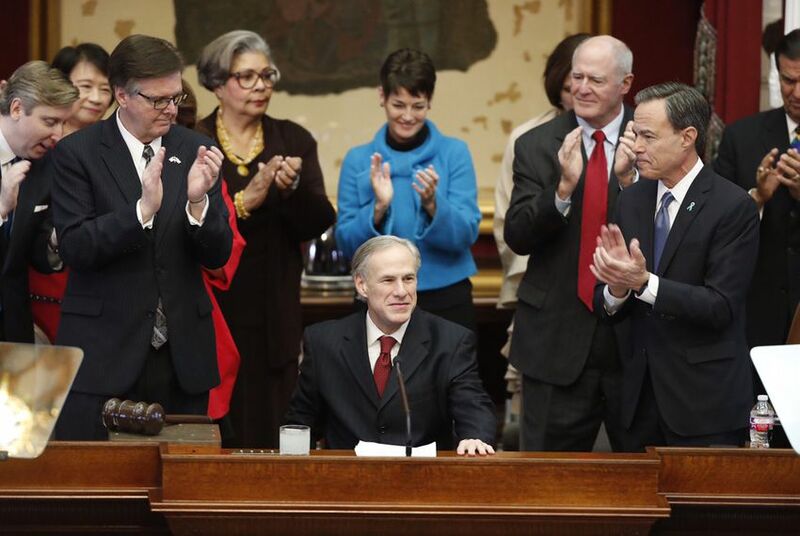 "As the debate on this issue continues, I will work with the House and Senate to ensure we find a solution and ultimately get a bill to my desk that I will sign into law," Abbott said. Abbott's statement is significant in that he has been relatively quiet on the issue of bathroom regulations as it has dominated the discussion this session. Before the session, he said he believed it was an issue worth examining but has since declined to take a position on Senate Bill 6. The proposal being developed in the House is different from SB 6, a priority of Lt. Gov. Dan Patrick that passed out of the Senate last month. While it's similar in some ways to North Carolina's revised bathroom law, Simmons' focus on discrimination protections also differs from that state's measure, which had spawned a fierce backlash. Supporters of Simmons' proposal hope it is more acceptable to the business community that has so far been strongly opposed to SB 6. But some business coalitions — representing major companies in the state who are advocating against discriminatory legislation — have already said they will oppose Simmons' proposal. Since last year, House Speaker Joe Straus has expressed reservations about the state adopting new bathroom regulations, describing the issue in November as not the "most urgent concern of mine." "The Speaker's position has not changed," Straus spokesman Jason Embry said Tuesday in a statement following Abbott's remarks.